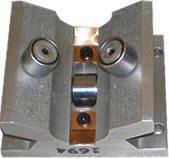 When an international steel maker was experiencing chronic linear bearing failures, they called LM76. 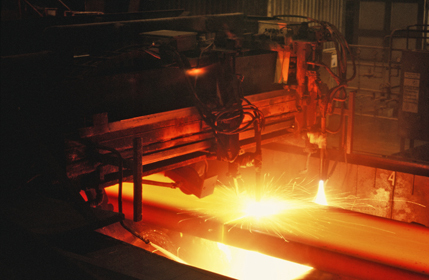 MITTAL STEEL COMPANY EMPLOYS PLASMA TORCHES THAT THROW OFF DEBRIS, DUST AND GRIME. THESE CUTTERS SECTION LARGE STEEL SLABS. WITH 30 FEET OF TRAVEL AND A 1500 POUND CANTILEVERED LOAD, NO SIMPLE TASK! MITTAL’S PLASMA TORCHES TRAVEL ON 3″ ROUND, FULLY SUPPORTED SHAFT ASSEMBLIES COUPLED WITH STANDARD LINEAR BALL BEARING PILLOW BLOCKS – WHICH FAIL WEEKLY RESULTING IN EXPENSIVE DOWNTIME. 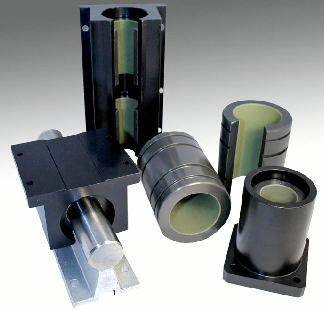 BY CHOOSING JET RAIL BEARINGS, MITTAL WAS ABLE TO MOUNT JET RAIL ROLLER BLOCKS DIRECTLY TO THEIR EXISTING FULLY SUPPORTED SHAFT ASSEMBLIES – SAVING THOUSANDS OF DOLLARS. Footnote: Instead of weekly failures, JET Rail Roller Blocks have been running for 3 months without a failure. 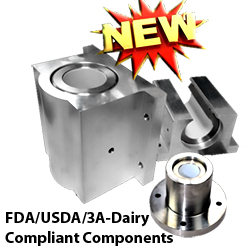 JET Rails are DIRECT DROP-IN REPLACEMENTS for all standard open, single and twin pillow block linear ball bearing assemblies. 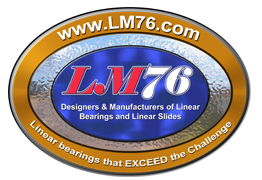 LM76 – The Emblem of Engineered Solutions, Superior Products and Singular Service. 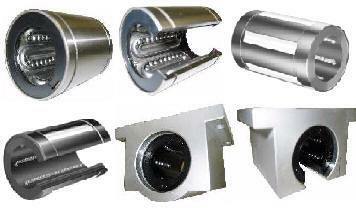 E. JET Rail offers a Floating Option which comes in handy when you have long travel applications. 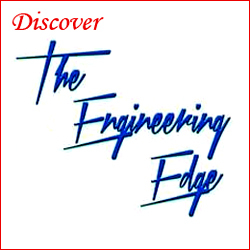 It is difficult to accurately align shafting over 20 plus feet. 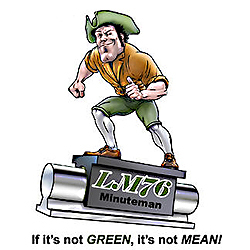 LM76 Minuteman Self Lubricating Linear Bearings: for applications where balls and rollers fail.